Benzodiazepines and Z-drugs are used to treat complaints like insomnia, anxiety and pain. These drugs are recommended for short-term use only, but many studies report long-term use, particularly in older people. The aim of this study was to identify and synthesise qualitative studies exploring patients’ experiences and perceptions of receiving benzodiazepines and Z-drugs, and through this identify factors which perpetuate use of these drugs, and strategies for achieving safer prescribing. 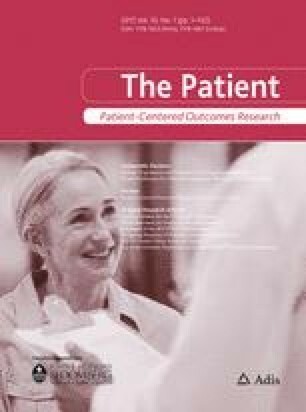 A systematic search of six databases for qualitative studies exploring patients’ experiences and perceptions of primary care benzodiazepine and z-drug prescribing published between January 2000 and April 2014 in a European language, and conducted in Europe, the United States, Australia or New Zealand. Reference lists of included papers were also searched. Study quality was assessed using the Critical Appraisal Skills Programme qualitative checklist. Findings were synthesised using thematic synthesis. Nine papers were included and seven analytical themes were identified relating to patients’ experiences and perceptions and, within that, strategies for safer prescribing of benzodiazepines and Z-drugs: (1) patients’ negative perceptions of insomnia and its impact, (2) failed self-care strategies, (3) triggers to medical help-seeking, (4) attitudes towards treatment options and service provision, (5) varying patterns of use, (6) withdrawal, (7) reasons for initial or ongoing use. Inappropriate use and prescribing of benzodiazepines and Z-drugs is perpetuated by psychological dependence, absence of support and patients’ denial/lack of knowledge of side effects. Education strategies, increased availability of alternatives, and targeted extended dialogue with patients could support safer prescribing. The online version of this article (doi: 10.1007/s40271-016-0182-z) contains supplementary material, which is available to authorized users. Thank you to Rebecca Porter (School of Health and Social Care, University of Lincoln) for her support with data extraction for this project. Sirdifield led the study and contributed to all stages of the analysis and write-up. Chipchase contributed to all stages of the analysis and write up. Owen read and commented on drafts of the paper and model, and proof read the final version. Siriwardena had the idea for this study, and has contributed to the design, conception, analysis and drafts of the paper (including final revisions). This study was funded by a University of Lincoln College Research Fund grant. There are no conflicts of interest for Sirdifield, Chipchase, Owen or Siriwardena. National Institute for Clinical Excellence. Managing long-term insomnia (>4 weeks). 2015. http://cks.nice.org.uk/insomnia#!scenario:1. Accessed 17 Nov 2015. National Institute for Clinical Excellence. Scenario: managing short-term insomnia (<4 weeks). 2015. http://cks.nice.org.uk/insomnia#!scenariorecommendation. Accessed 17 Nov 2015. National Institute for Clinical Excellence. Generalised anxiety disorder and panic disorder in adults: management. NICE guidelines [CG113]. National Institute for Clinical Excellence. 2011. http://www.nice.org.uk/guidance/cg113/chapter/1-Guidance. Accessed 24 Nov 2015. Sirdifield C, Anthierens S, Creupelandt H, Chipchase SY, Christiaens T, Siriwardena AN. General practitioners’ experiences and perceptions of benzodiazepine prescribing: systematic review and meta-synthesis. BMC Fam Prac. 2013. doi: 10.1186/1471-2296-14-191. Thomas J, Harden A. Methods for the thematic synthesis of qualitative research in systematic reviews. BMC Med Res Methodol. 2008. doi: 10.1186/1471-2288-8-45.